State Bank of India(SBI) has recently launched mVisa, a Mobile-based payment solution. mVisa is faster and innovative and secure way to make cardless payment using mobile. This mobile-based payment solution will help the customer of SBI to make payment on the move. SBI mVisa brings benefits like security, ease & mobility to the customer. In this post, I will explain about SBI mVisa in detail. What is SBI mVisa & how it works? mVisa is a cardless mobile-based payment solution recently launched by SBI. 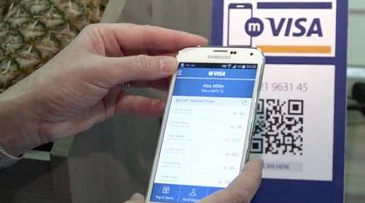 mVisa works on QR (Quick Response) code technology. In order to make payment using mVisa you just need to scan QR code displayed at merchant outlet. The QR code contains information such as Name of merchant, Account number, IFSC code. The facility of mVisa is available to debit card holders as well as internet banking customer of SBI. If you are existing customer of SBI and want to use mVisa follow the steps given below. You will find “mVisa” icon. Once you click on this icon another window will appear asking to select “Internet Banking User” or “SBI Debit Card User”. You need to give your username and password and press “Login” button. The system would validate and prompt first time user to register for mVisa. You need to follow the onscreen instruction to complete the registration process. 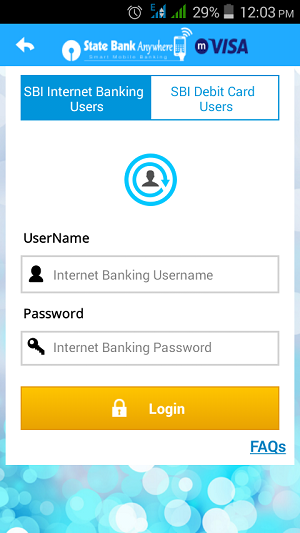 Once you are registered you can log in to mVisa using your credentials. You will see mVisa dashboard displaying information account information and mini statement. Click on the “Pay mVisa” link appearing on the bottom of the dashboard. You can either scan merchant QR code using device camera or manually enter merchant details available with the merchant. Once details are entered you need to input amount and click on “Pay” button. Instant payment will be made to merchant and success message will be displayed along with reference number. What are the benefits of SBI mVisa? Instant, hassle free payments to merchants. You can also pay bills and send fund to other users. Safe and secure payment using mobile via State Bank Anywhere. No need to swipe Plastic cards on physical POS terminal. No need to enter PIN/Credential at POS. Maintaining the privacy of the card details at the POS. No worry of fraud and losing the cards. mVisa service has been introduced only in Bangalore city merchants as on today. This service is available for Android-based smartphone only. Daily transaction limit of mVisa is Rs 50,000 per day. So, what are you waiting for download SBI Anywhere app now and enjoy the power of SBI mVisa! For more information, go through SBI press release about mVisa. I HAVE LOST MY MOBILE IN WHICH I WAS USING ANY WHERE SBI/MVISA . I RECEIVE ANOTHER SIM OF MY NUMBER IN ANOTHER DEVICE AND DOWNLOADED APP SBI ANYWHERE/MVISA BUT THIS SHOWS INVALID IMEI NUMBER OF DEVICE DURING LOGIN. HOW TO SOLVE THIS PROBLEM. Kindly contact SBI Customer care. I’m using SBI mVisa from last 10 month on my phone but now i purchase new mobile now i show an error at logine time as invalid IMEI number pleas login on registerd mobile phone. You can file a complain against SBI in consumer court. I’m using SBI mVisa from last three mont on my phone but from last 2 days ist show an error at logine time as invalid IMEI number pleas login on registerd mobile phone. There is no transaction details available anywhere for money transferred using mVisa. Not given in the statement also. So how can I get my money back for failed transaction as sbi CC ask for transaction number which never existed! !